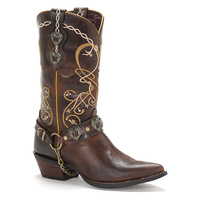 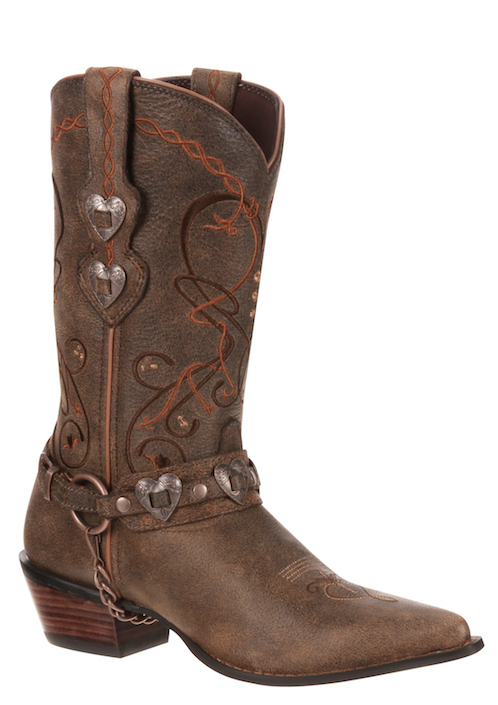 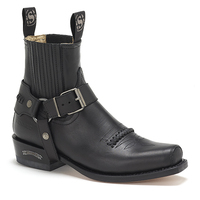 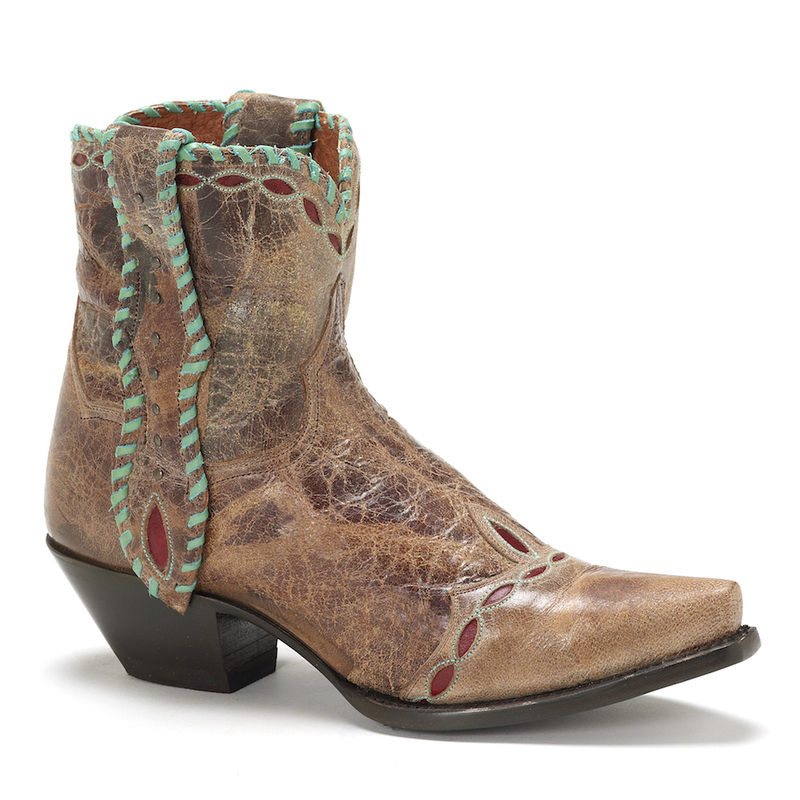 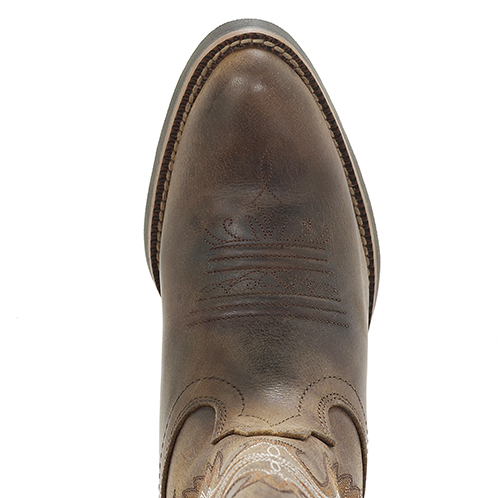 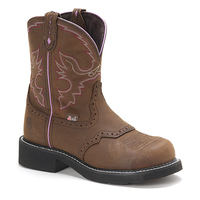 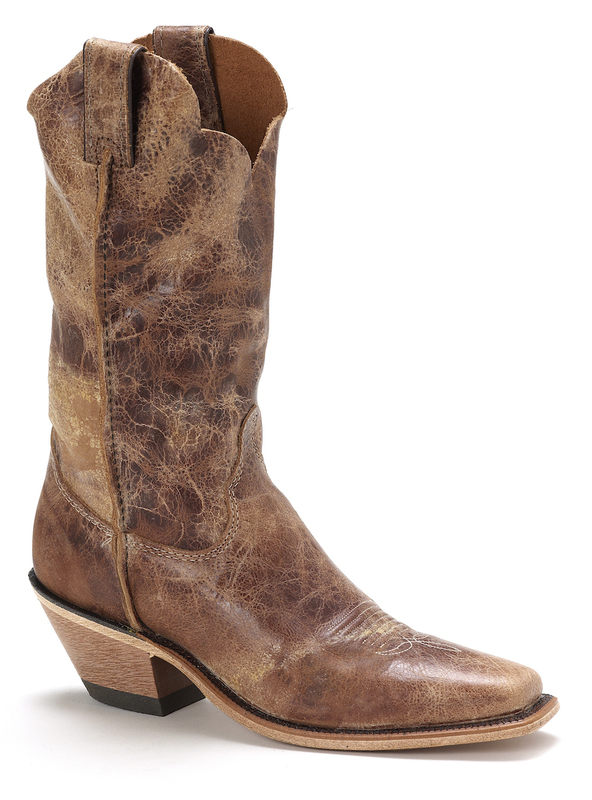 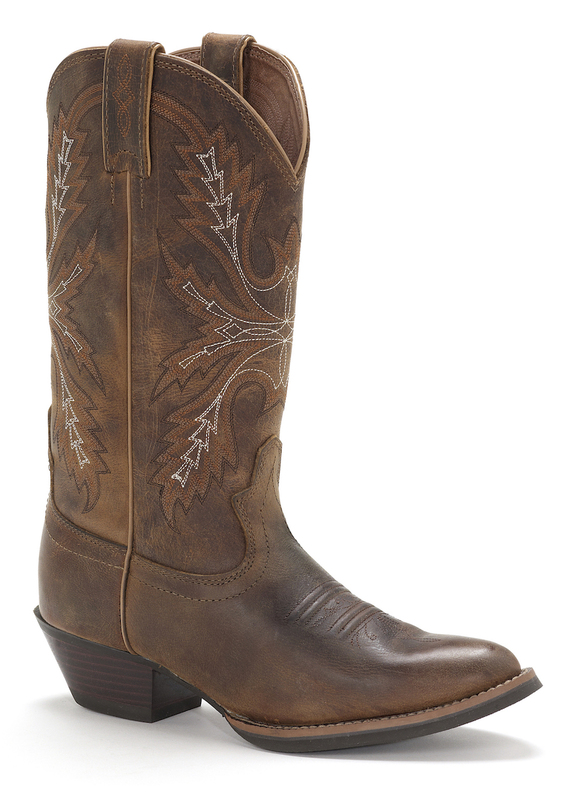 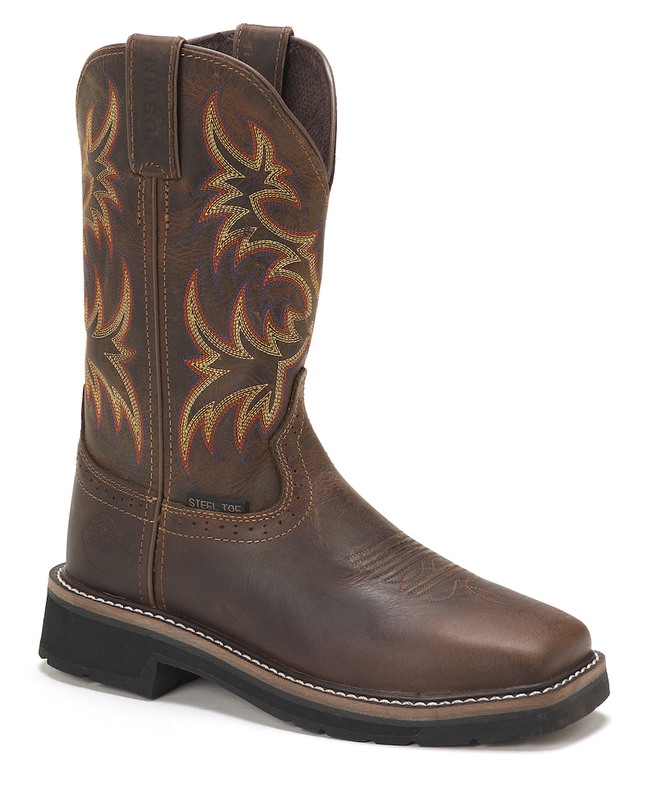 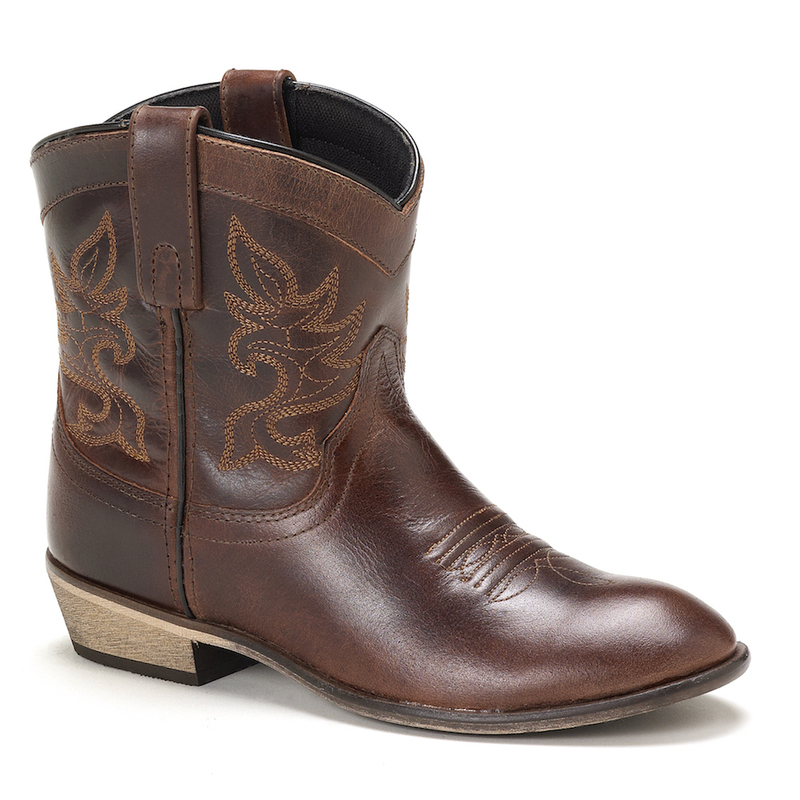 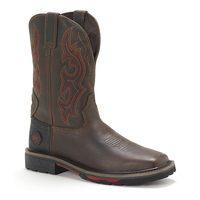 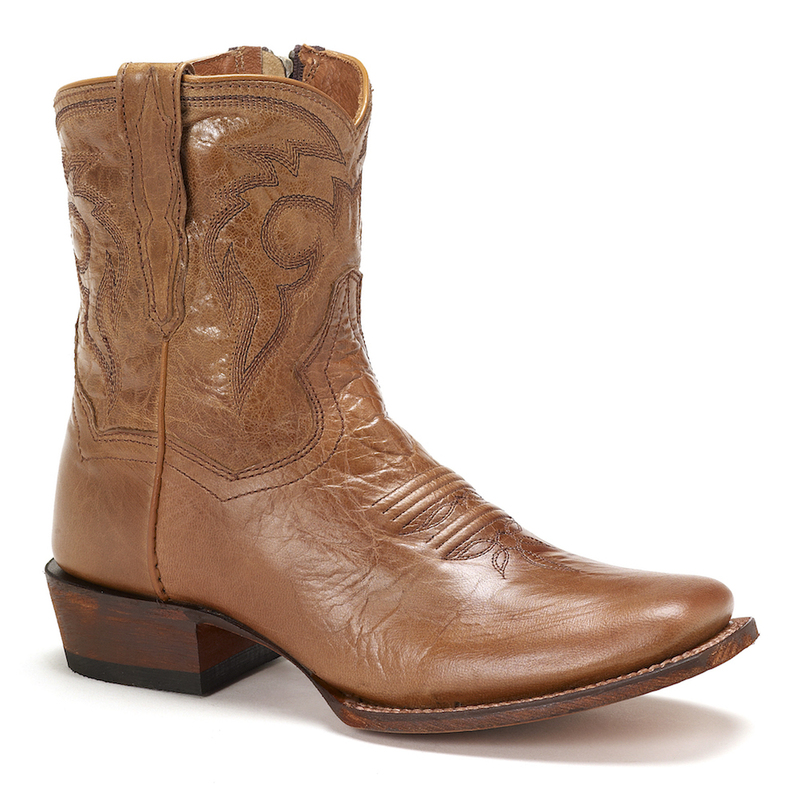 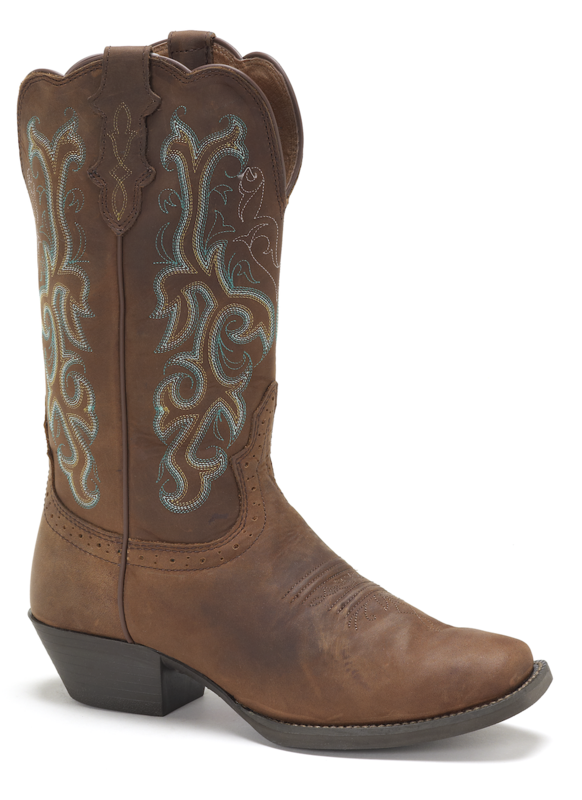 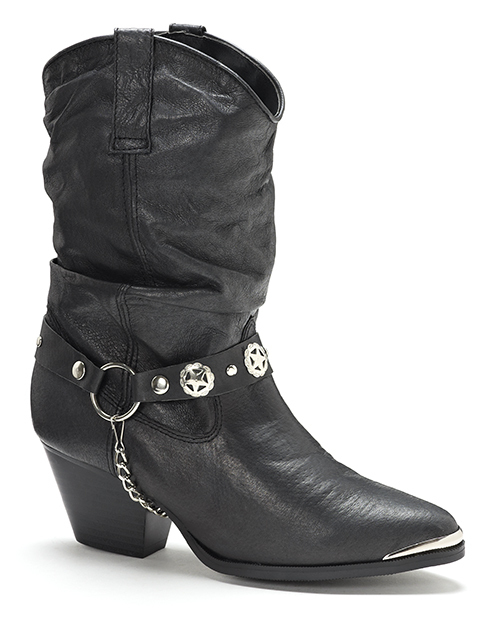 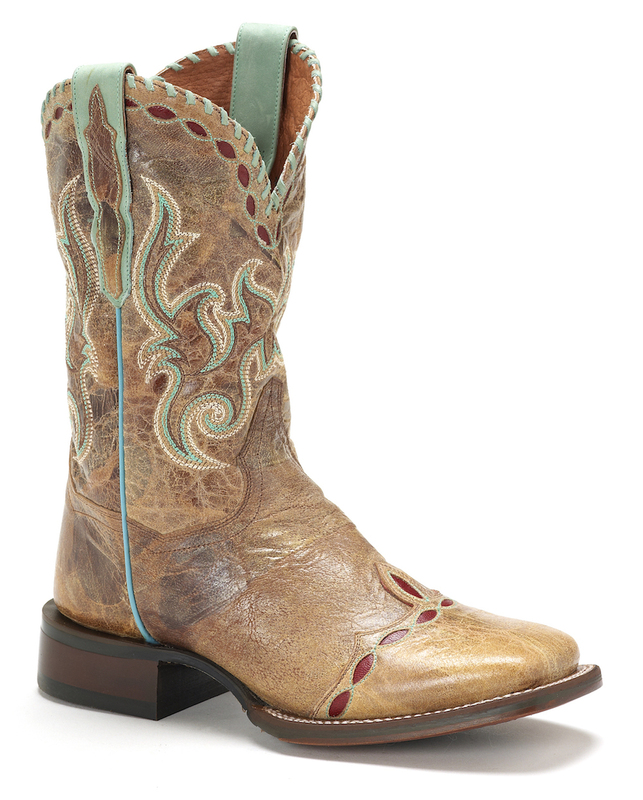 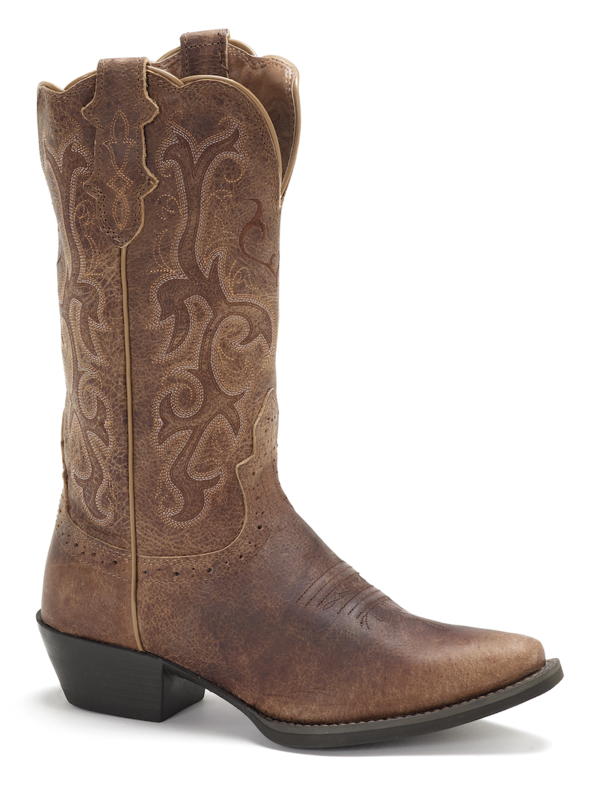 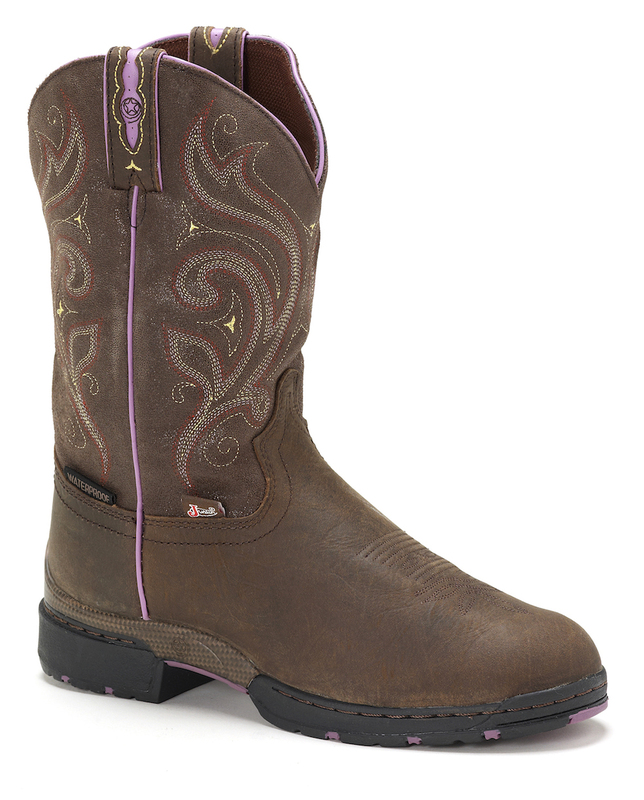 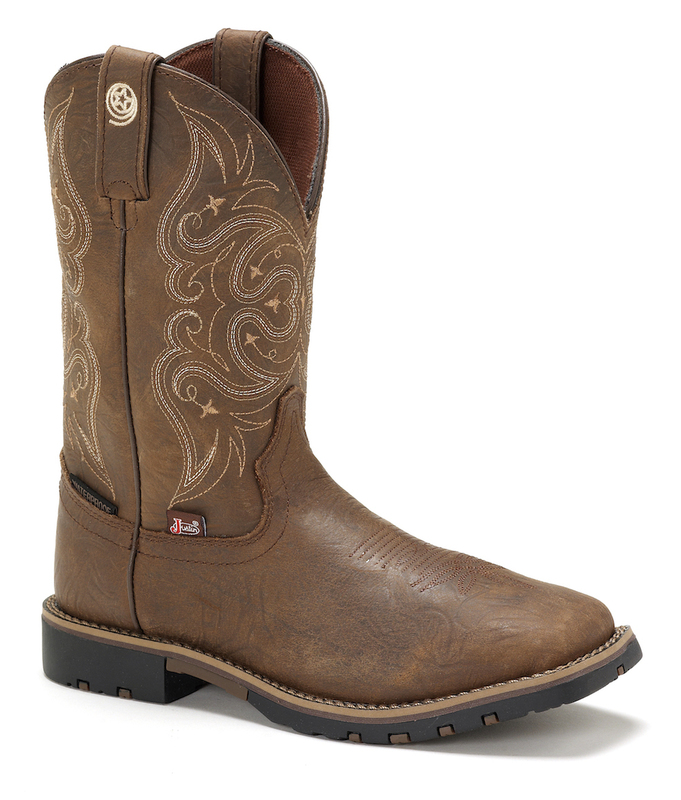 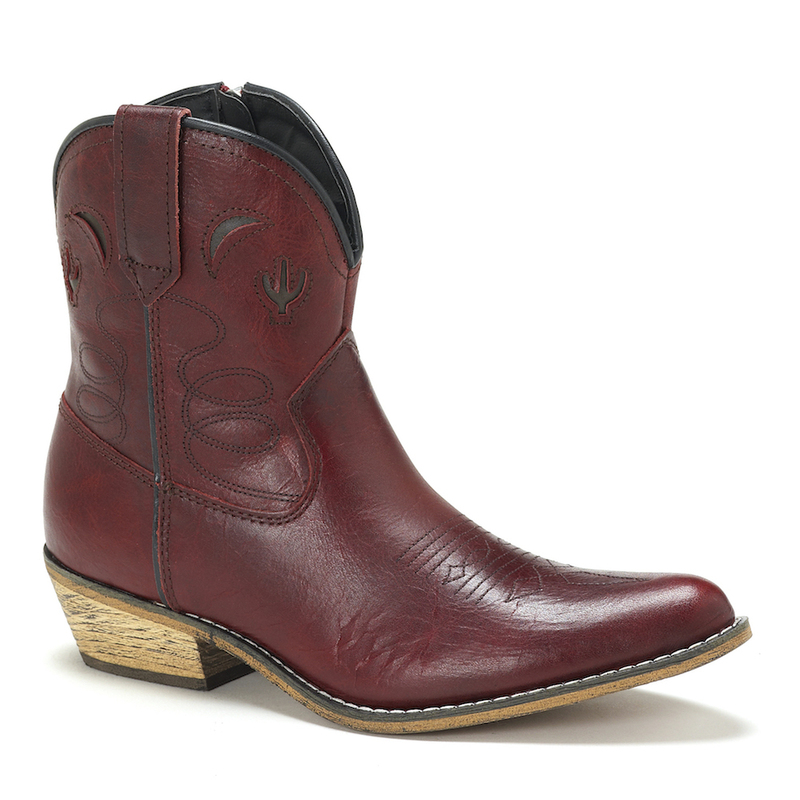 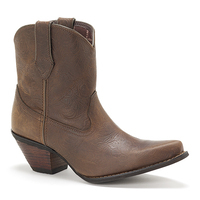 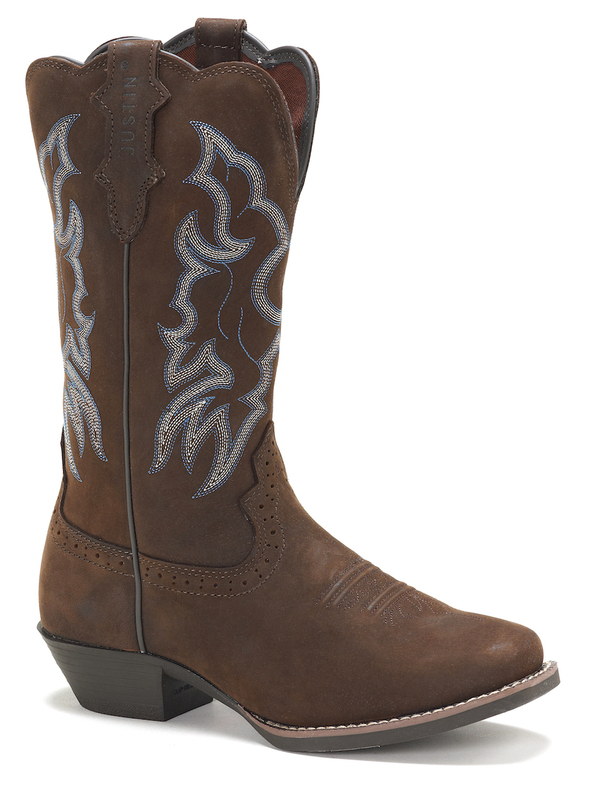 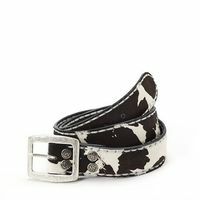 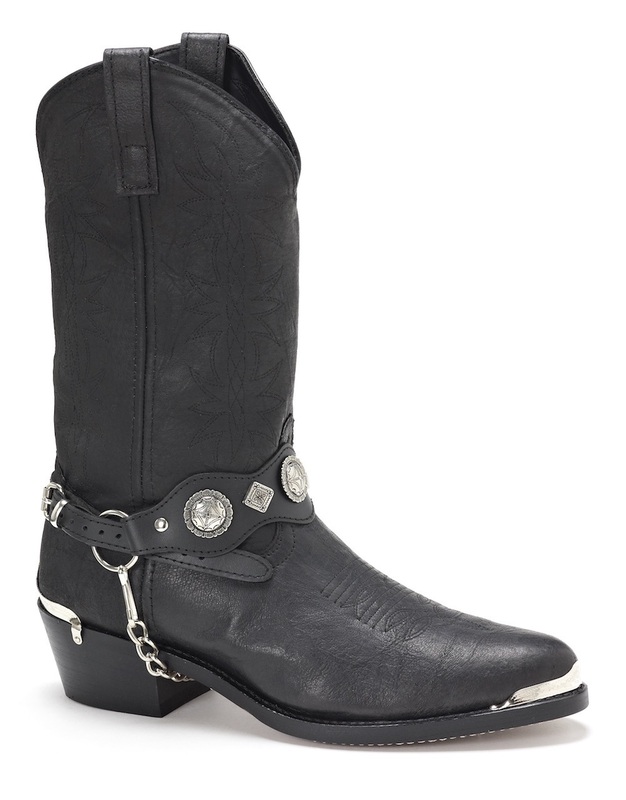 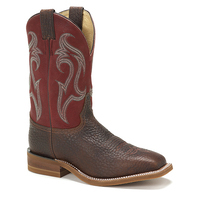 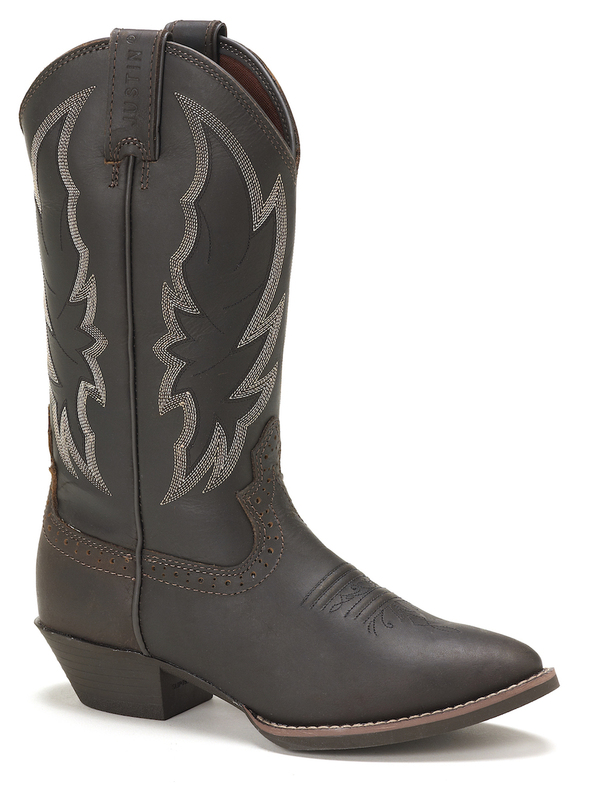 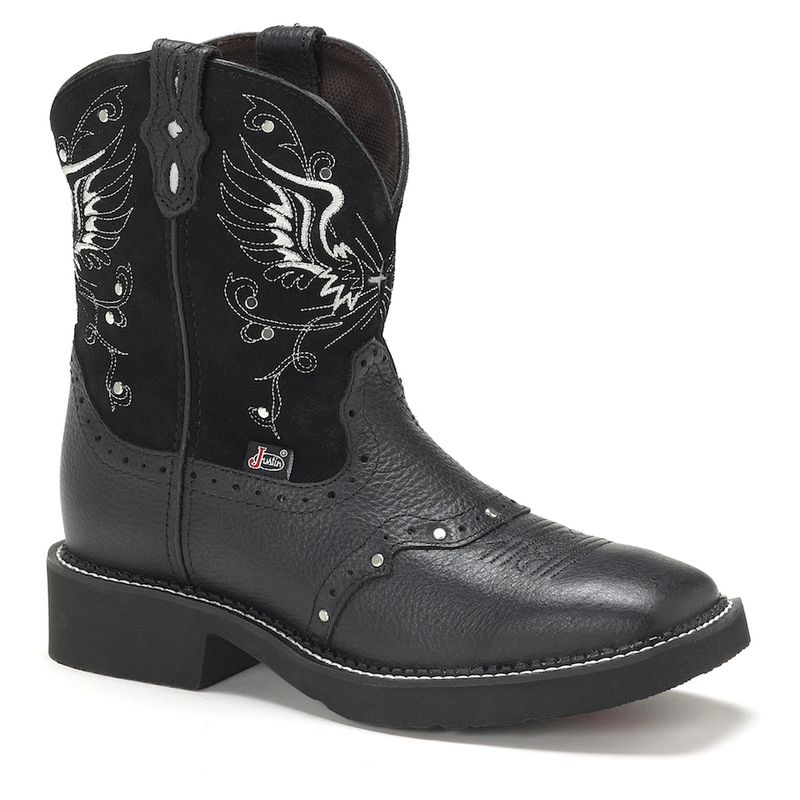 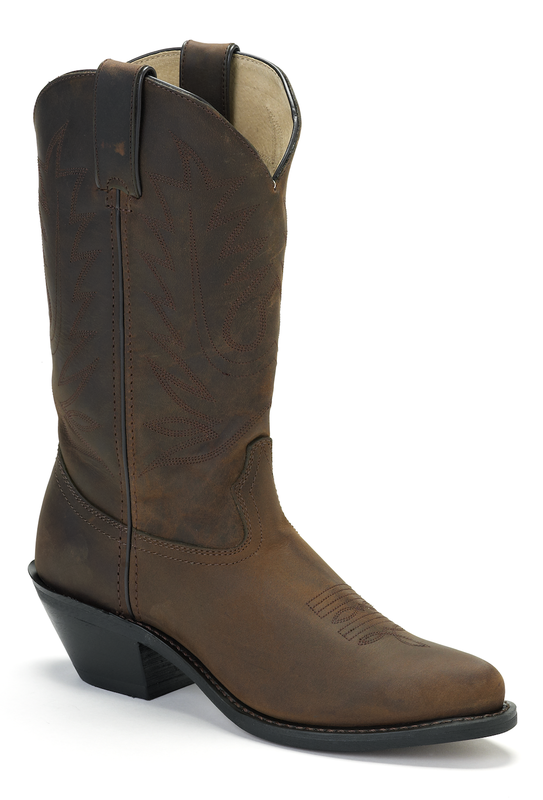 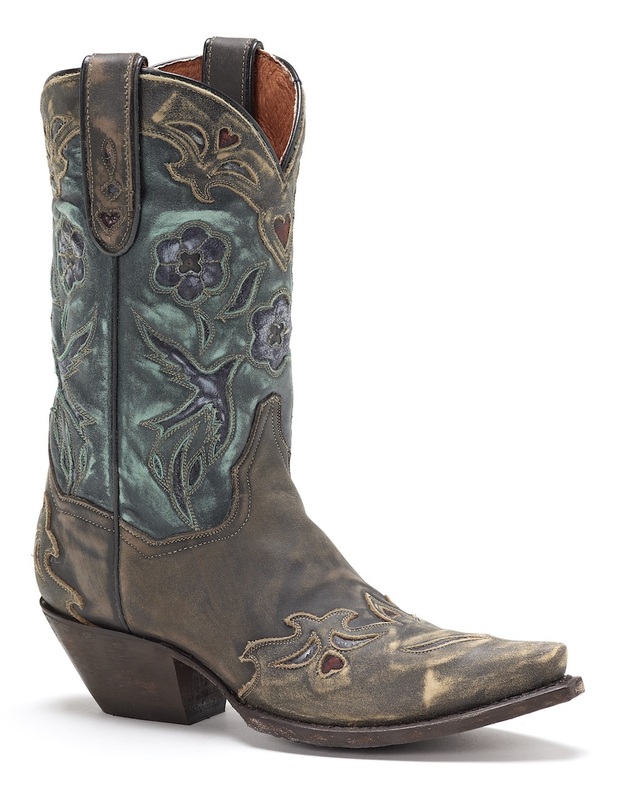 The 12" tall Quinlan Tan is a traditional cowgirl boot with a vintage look. 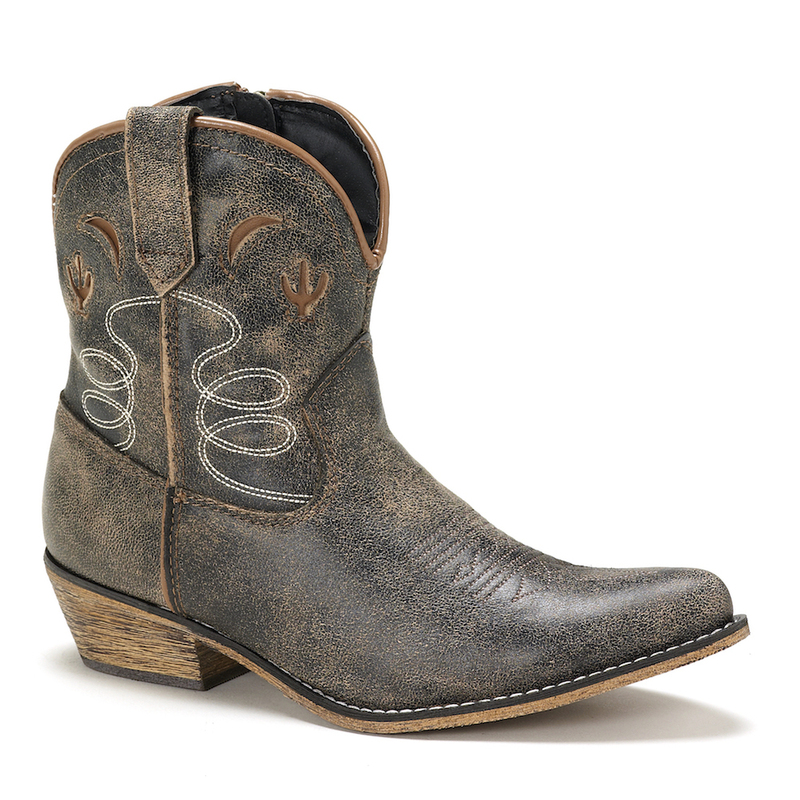 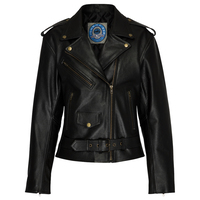 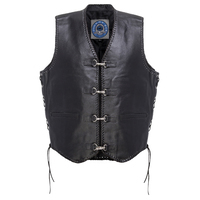 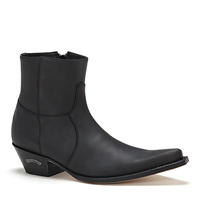 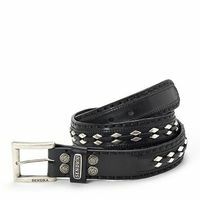 It's aged leather upper with a tribal stitching that's both feminine and strong. 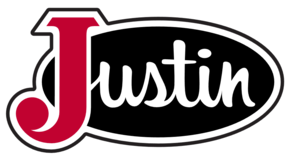 The 1.6" long base riding heel and medium round toe with the J-Flex Flexible Comfort System insole and removable inserts provide lasting comfort for any occasion. 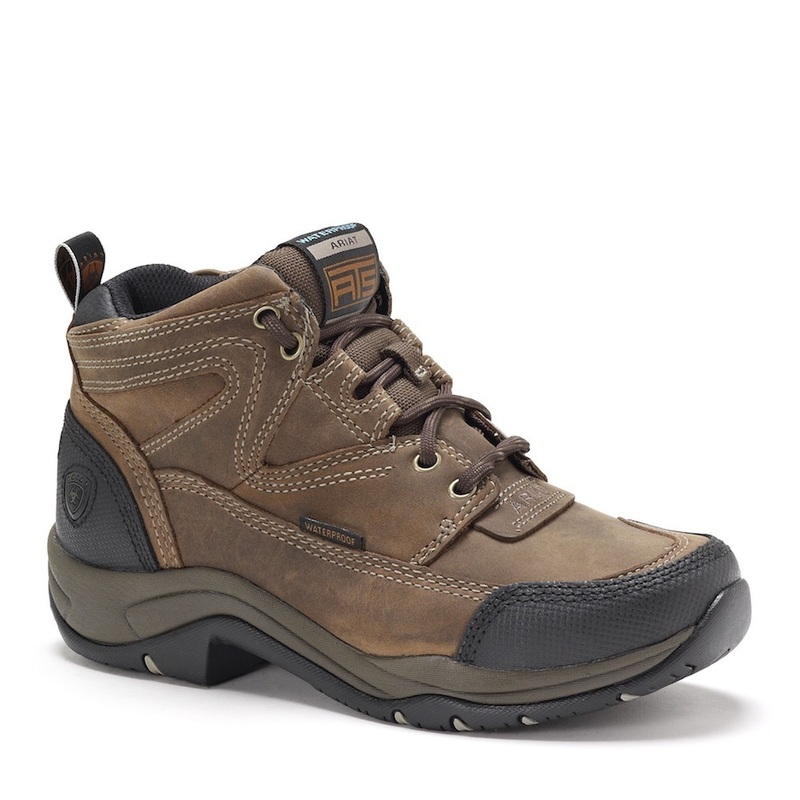 Its brown rubber outsole with a single-stitched welt effortlessly takes you from the trail to out on the town.